You do not have to complete the entire course before arriving although many choose to, which is fantastic for better time management once on-site. We at least recommend you complete the sections which are most unfamiliar, so as to brush up on general teaching lingo. 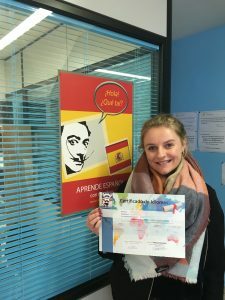 You can complete the course during your internship in Madrid, Barcelona, and Valencia. Sign up here. All materials provided: lesson plans, text books etc. Typical day: Lesson preparation and practice, teaching practice, teaching observation, and feedback on your teaching. 6 written tests (to complete online). 6 assignments of 400 words each (to submit by email): This is the TEFL Research learning block. 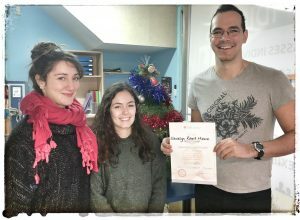 Upon successful completion of your 3 learning blocks, you will be awarded your accredited TEFL TRAINER TEFL Certificate.